Patricio Freire is a fighter until the end. That’s all he wants to do. If it was up to the Bellator featherweight champion, he would defend the title on every show. Freire, however, has been out of action since regaining the belt from Daniel Straus at Bellator 178 in April 2017, and he isn’t happy about it. He was supposed to defend his title against Daniel Weichel at Bellator 188 but had to bow out because of a series of injuries. Eight months later, Freire will return at Saturday’s Bellator 203, when he meets Weichel. “Honestly, I don’t think a fighter should be away for so long,” Freire told Sporting News. “I think the champion needs to be active make sure to have rhythm. That’s something I’ve always asked the organization for. Unfortunately, it took the organization a long time to get me a fight. I was supposed to fight in November but I suffered a series of injuries that forced me to pull out of the fight. Freire has been with Bellator since 2010. While he feels the relationship with the Viacom-owned promotion is on solid ground, he wishes he was valued more for what he has done. His accomplishments in the promotion are endless: one of eight two-time champions in company history, most featherweight knockouts and submissions, and second-most career victories at 14 (Michael Chandler has 15). The 31-year-old has proven to be a reliable draw, as his last two fights, vs. Straus and Benson Henderson, have peaked at more than 1 million viewers. “My frequency of fights (has been a problem) and that’s something I keep discussing over and over with them,” Freire said. “If you see me complain about something in interviews it’s because I’ve spoken with them several times but nothing has changed. I’ve spoken with them several times about fighting. I want to be active and fighting more frequently. I think I should be the most well-paid fighter in the organization. I hold all the records. Michael Chandler now has one more win than me. After this fight, I will tie him, (and) then when I fight Chandler, I’m going to knock him out. “I have the third-most finishes in the organization. I’m the best featherweight in the organization’s history. I have the best viewership, not counting the old legend fights. If you see my ratings when I fight, you will see my ratings are well above average. I don’t have the same promotion as the other fighters. My shows, when promoted, I get bigger numbers than some of their biggest signings. Chandler and Freire have much disdain for one another. The former lightweight champ has beaten Freire’s brother, Patricky, two times before. After their last fight in 2016, Chandler and Patricio Freire almost came to blows. They have traded insults with each other in interviews and on social media since then. Earlier this year it appeared as though they would finally get their hands on each other. 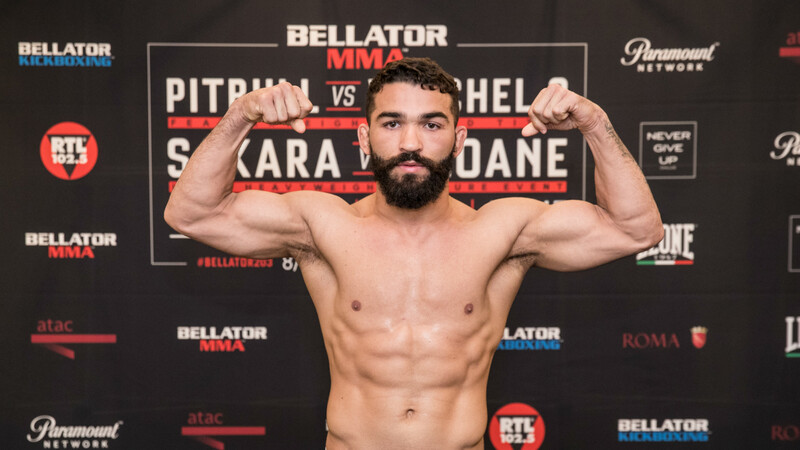 Bellator president Scott Coker tried to make an interim lightweight title fight between Chander and Patricky Freire, but he was injured, so Coker went to Patricio Freire and offered him the same opportunity. Patricio jumped at the chance, but when Bellator sent the bout agreement, it was for a three-round contest and he decided to pass. In their first outing at Bellator 138, Freire scored a second-round knockout. After this weekend, half of the Brazilian’s fights in Bellator will have been against fighters he has already faced. While Freire has no problem beating up Weichel one more time, he wants to make sure he receives some new guys to beat up on. “Nothing against Weichel, but I keep having rematches over and over,” Freire said. “I was supposed to fight Georgi Karakhanyan when he returned to Bellator. I’ve fought Wilson Reis and Pat Curran two times and Daniel Straus four times. I’m sick and tired of rematches. I’m one of the most exciting fighters in MMA, but fans are tired of me fighting the same people over and over. I just keep knocking them out.